Here at Custom Automotive Care, we care about the most important part of your vehicle, you the driver. That is why we have attended over 200 hours of customer service training classes and seminars to bring you, our customers, the best automotive repair and maintenance experience possible. We understand the specific challenges that face Lincoln Nebraska drivers when it comes to maintaining and repairing their cars, trucks and SUVs. We service all makes and models, foreign or domestic and diesel engines are our specialty. So if you are looking for an auto shop that puts the customers first and are passionate about the vehicles they work on, look no further than Custom Automotive Care where we care for the driver above all else. When you have questions about what your vehicle needs, or maybe you’ve been experiencing a recent drop in performance, give us a call, schedule an appointment online or just drop by our shop and we’ll be happy to help you out! Custom Automotive Care understands that your vehicle is a technological marvel. We believe that using the most up-to-date technology and diagnostic tools to maintain and repair your car is the key to extending its life and keeping you on the road. 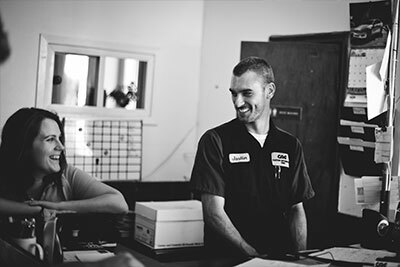 Our ASE Certified Master Auto Technicians are part of a nationwide network of the over 300,000 auto professionals that have demonstrated extensive automotive knowledge through ASE Certification. This type of certification, which must periodically be renewed, recognizes excellence on the part of our technicians, and provides our customers with peace of mind.